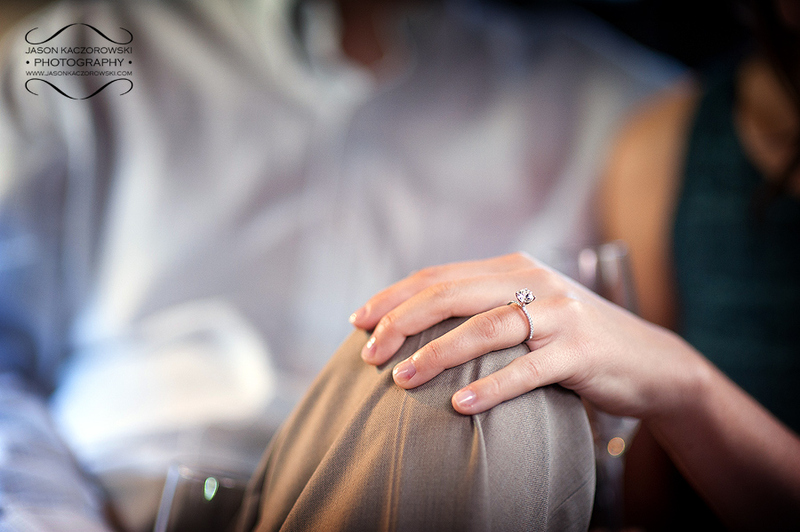 Monday afternoon a call came in from a Tennessee area code from Ricky who was looking for a photographer to capture engagement photos of him and his girlfriend while they were in Chicago … the next day … after he proposed to her … THAT EVENING! 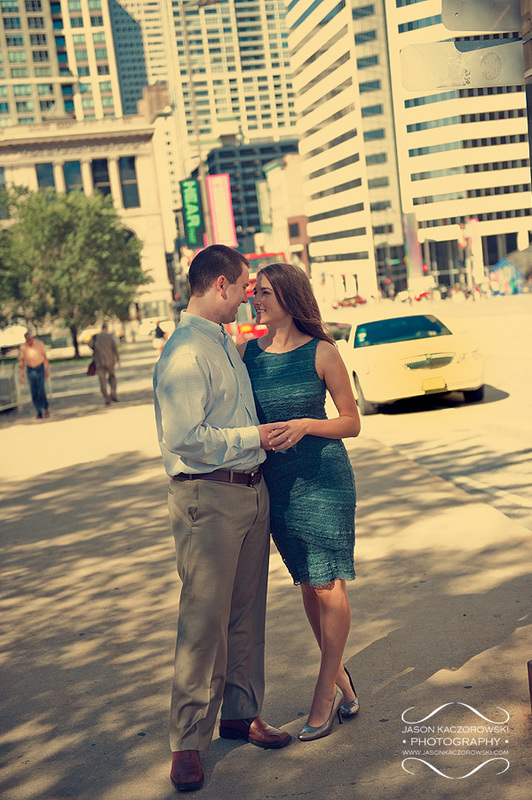 Today is my wife’s birthday so the thought of traveling to the city to capture this couple’s engagement photos seemed out of the question. I knew it was going to be tough to find my new friend a talented photographer on such short notice but I put the word out on several professional photography forums and local Facebook groups devoted to area wedding and portrait photographers. The response was slim and I knew Ricky needed answers immediately. 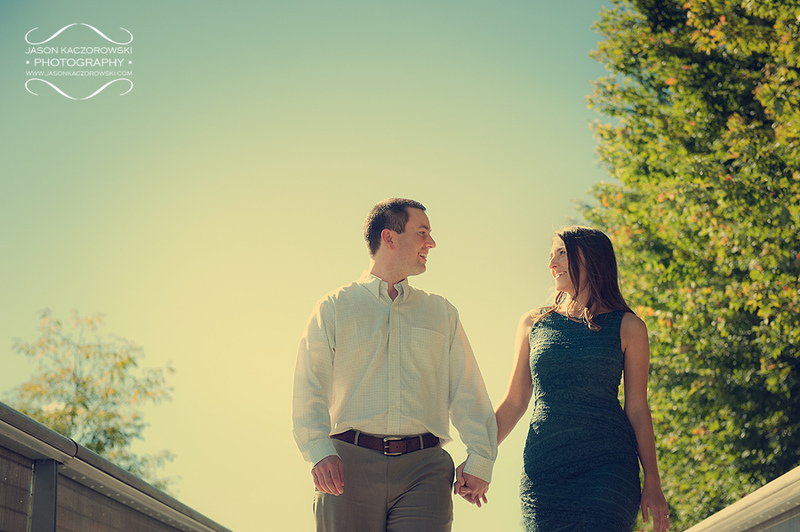 I knew my wife wouldn’t mind if I scheduled a quick morning shoot if I made it home in time to write this blog post and take her to dinner so I phoned Ricky back and told him I’d be delighted to meet Erin and capture their pictures the next morning. 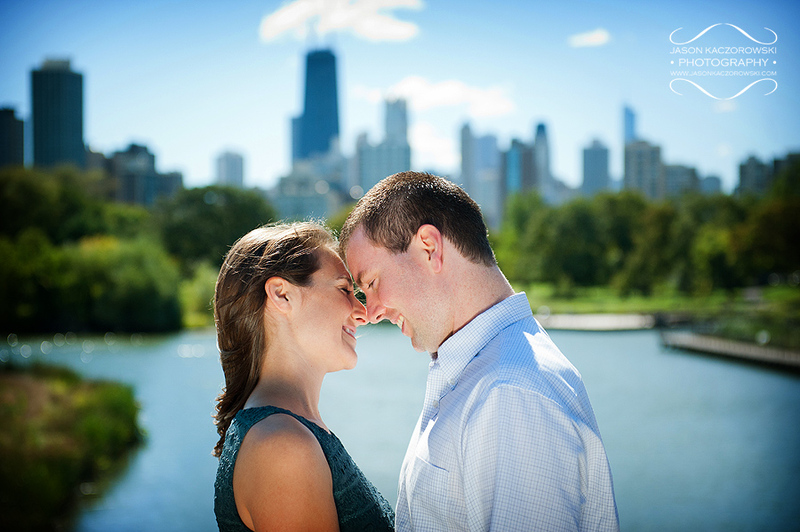 Erin and Ricky arrived in Chicago yesterday afternoon, checked into their suite at the Sofitel Chicago, enjoyed a fabulous dinner, laughed at a comedy club and made their way to Belmont Harbor near where Erin once lived. Ricky got down on one knee and told Erin how much he loved her and asked her to spend the rest of her life with him and she said yes just as a security guard approached. The couple asked if the guard would snap a quick photo of the two and he thankfully agreed instead of asking them to leave the park immediately. Afterwards they made their way to The Signature Room on the 95th floor of the John Hancock building to join friends for a celebratory toast. 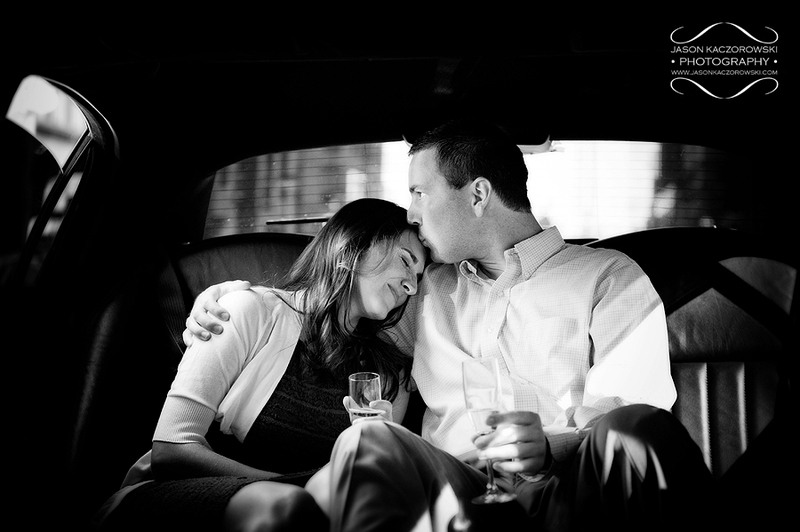 I arrived to the couple’s hotel in a luxury stretch limousine provided by Going Green Limousine. 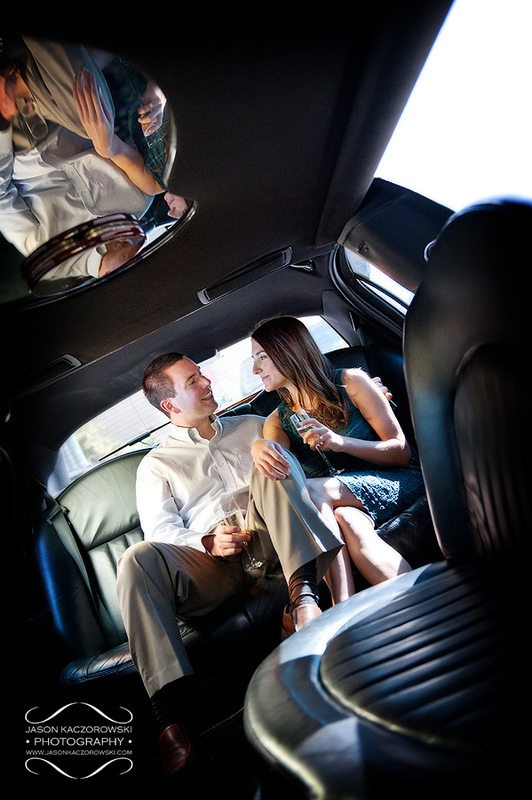 Going Green Limousine provides first rate eco-friendly limousine service, reducing their carbon footprint by utilizing mainly hybrid and flex-fuel vehicles for their client’s transportation. I’ve always been highly impressed with their committment to the environment, their friendly customer service and their dependability which is why I always recommend Going Green Limousine to my clients. 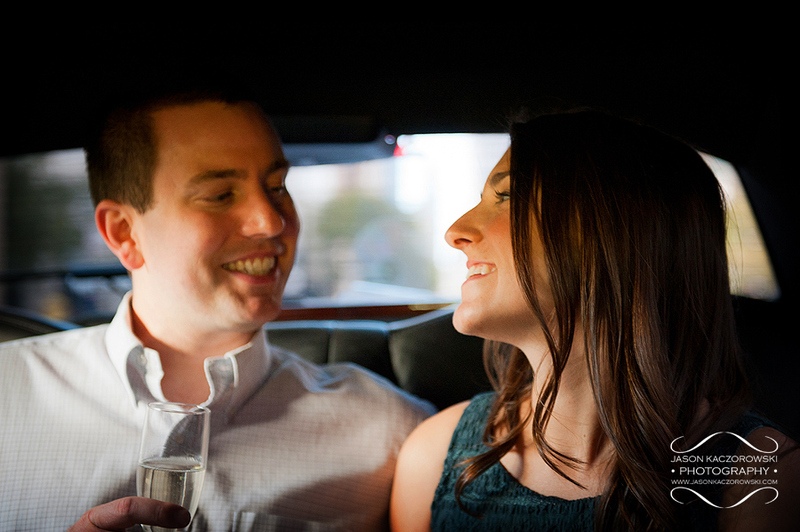 As Erin and Ricky stepped into the limo I popped a bottle of sparkling moscato to get their pre-session courage flowing. Our first stop was Millennium Park’s Cloud Gate sculpture (“The Bean”) where the two naturally fell into the groove of having their portraits captured. Erin and Ricky’s chemistry was so natural. We shot quickly along the Nichols Bridgeway (that connects to the Art Institute’s new Modern Art Wing), grabbed a few fast photos at the Pritzker Pavilion and worked our way onto the BP Bridge which separates Millennium Park from Daley Bicentennial Plaza before hopping back in the limo bound for the Lincoln Park Zoo. 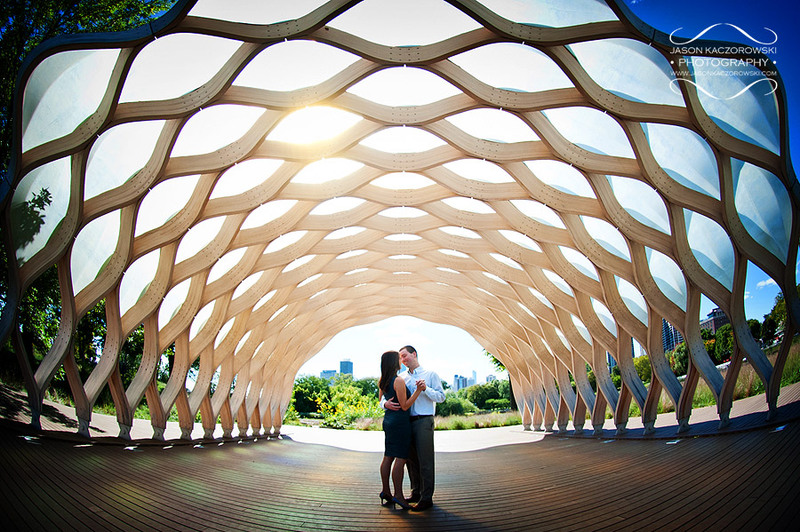 Once at the zoo we walked around the new Nature Boardwalk to the South Pond Pavilion for photos before ending our session along the pedestrian bridge which overlooks the Chicago skyline. 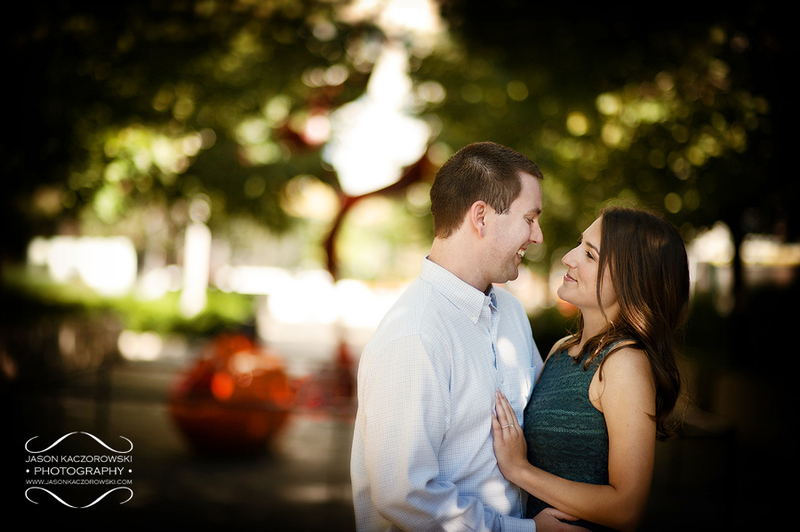 It was such a pleasure capturing these photos and getting to know Erin and Ricky. Though I only had a brief opportunity to spend limited time engaging with the couple it was great discovering how they met at their jobs, hearing about their new dog and comparing stories about our travels abroad. 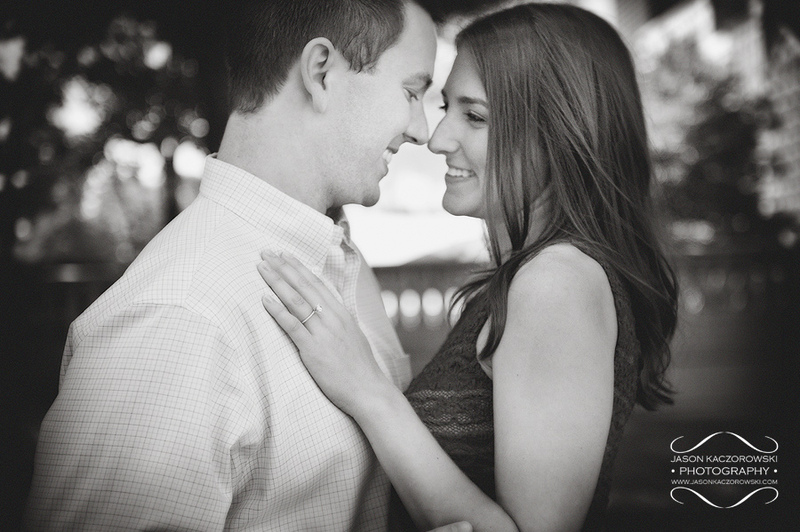 It is always such an honor to capture the connection between two people so in love that their warmth radiates from their photos. 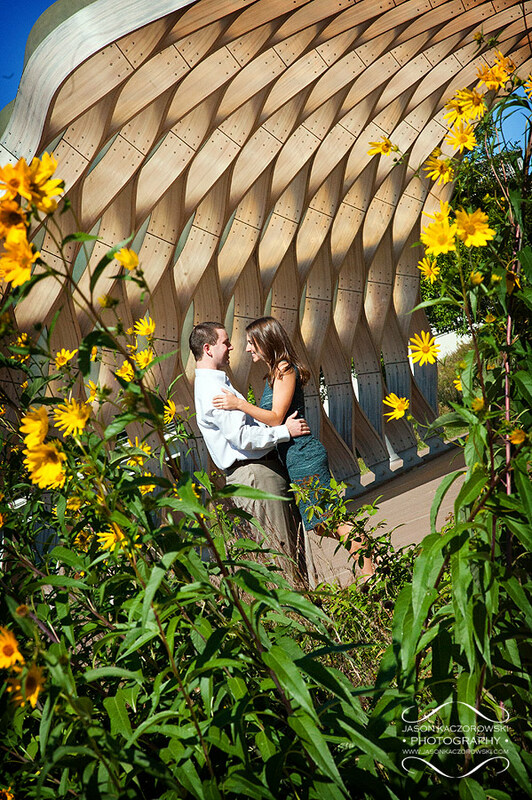 Ricky, thank you for the privilege of trusting me capture your engagement photos. 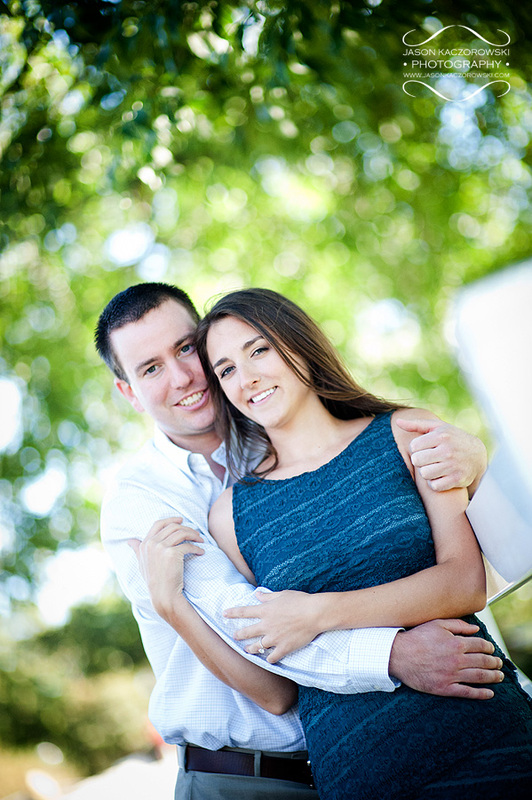 Erin, you’re a lucky woman to be marrying such a good natured man… and a Doctor too – what a find! Ricky and Erin, good luck with your wedding plans. I hope you look me up when you start planning your wedding in Michigan. 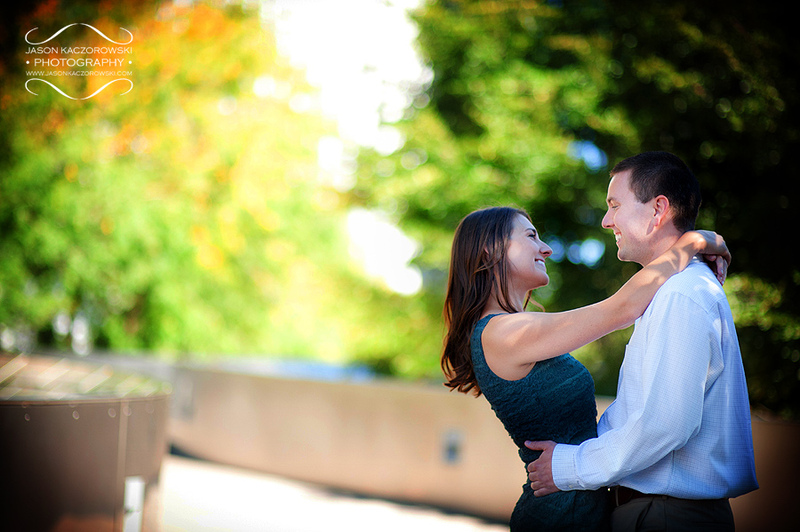 It would be a thrill to photograph you two again!